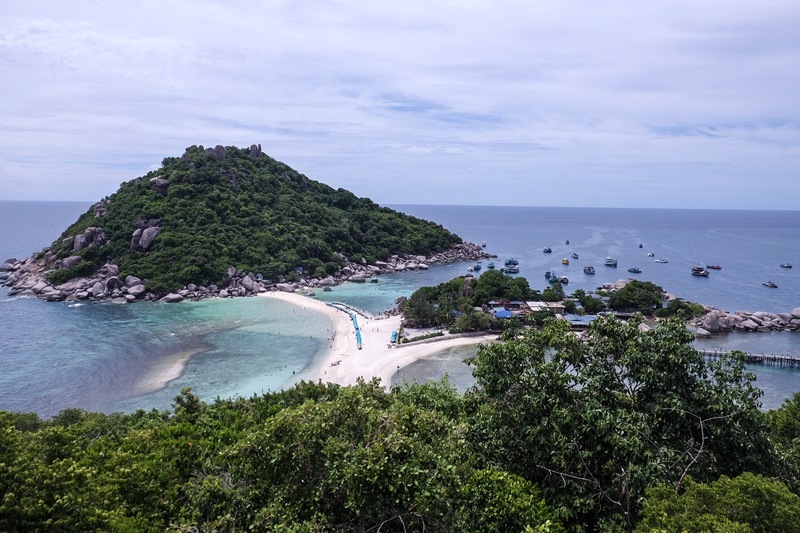 Island hopping in Thailand – Travel. Live. Eat. 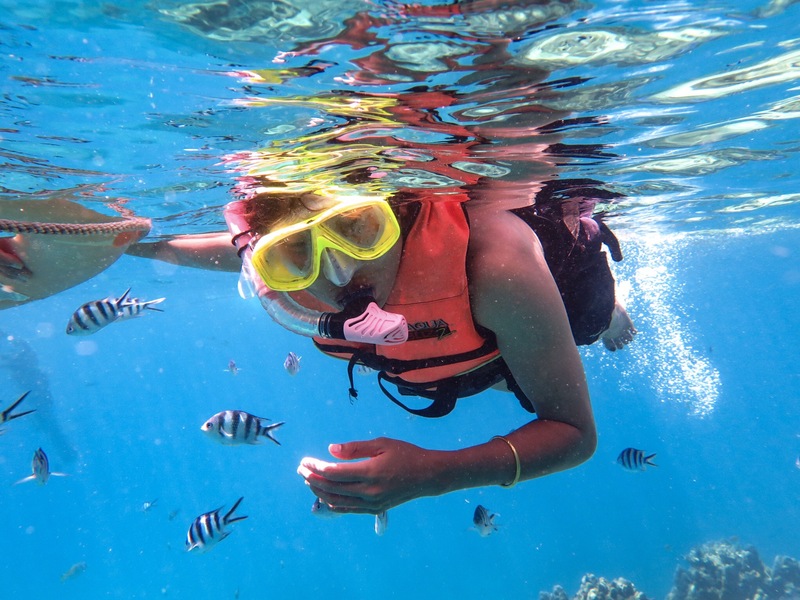 From our last trip in Chumphon where we stayed at De Sea Almond hotel and went snorkelling around the area. 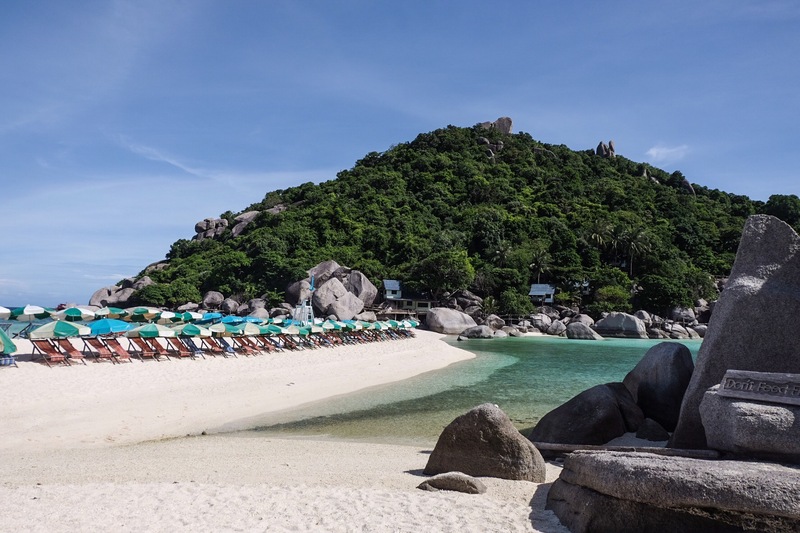 Since it’s so close to other Island such as Koh Nangyuan and Koh Tao, we decided to book a tour to explore those places! From Chumphon, you can take a ferry for about hour and a half to Koh Tao; where you can do this! The water was incredibly clear and blue that you can actually see everything without a slight blur. 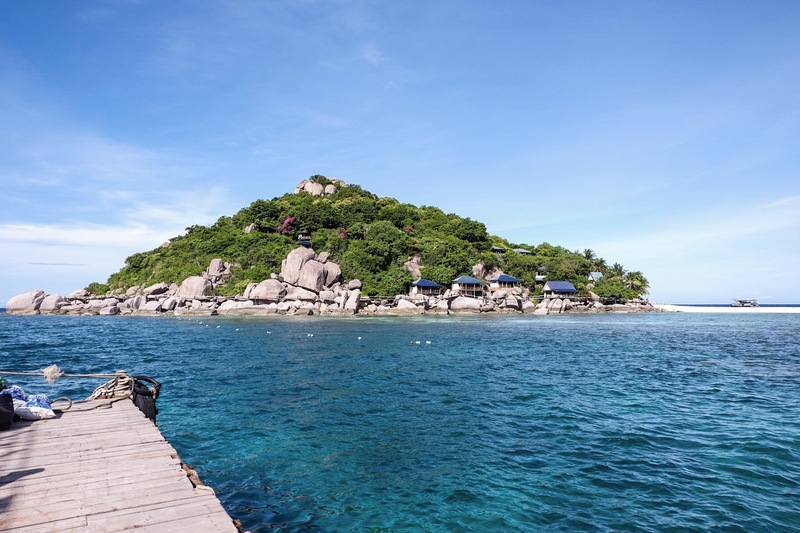 It’s no wonder why Koh Tao was listed as one of top diving or snorkelling spots in the world! From here we Island hopped to Koh Nangyuan; you can easily rent a speed boat which would take about less than an hour until you reach your destination. Since we booked the tour with Lomprayah, we got the previliege to enter the island about an hour before its opening time (10 am) when more tourists start arriving and got a chance to take these photos! And if you walk for about 20 Minutes to half an hour up the hill, you will get a chance to see the famous viewpoint of this island that looks like the one below! The little island separated from this one and is lead by the split water way is a privately property, therefore tourists are not allowed to enter. Once finished enjoying the beautiful view from the top, you can come back to the beach and order a refreshment at the beach bar! 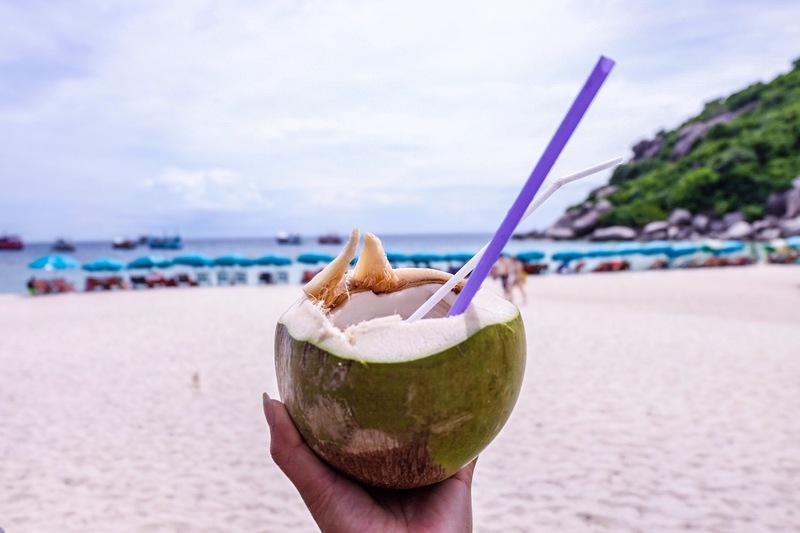 I recommend the coconut shake, as it’s just the right option for when you’re out in the hot sun! Wow! What a beautiful sea! I’ve been to Thailand, but I’ve never been to Island of thailand. Its must be great place! Wow! Looks beautiful! This post is just filled with amazing pictures! Island hopping in Thailand looks like paradise. Those islands were legitimate paradise! I can see! Lucky that you could get there before other tourists arrived. We really were lucky cause the second time we went in it was so crowded with tourists!